Barbell complexes are a great way to push up the intensity of your training. If you have not used them, read on. A complex is a string of exercises done continuously until the whole routine is finished. In a barbell complex, this means you shouldn’t let go of the weights as you transition from one movement to another. 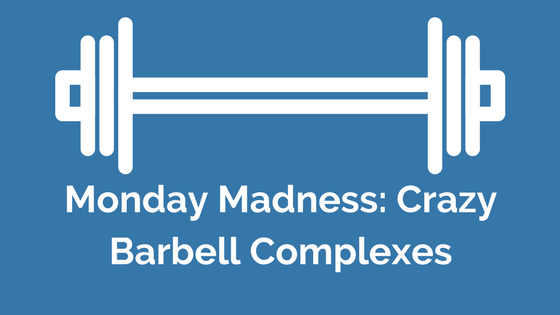 Now that you know there’s a lot to gain from barbell complexes, let’s continue discussing the workout itself. Beginners should repeat the whole set up to 3 times; rest at most 3 minutes after each round. Intermediate lifters can do 4 rounds while advanced lifters can do 5, with the former taking only 2 minutes of break time and the latter only a minute to inhale some oxygen. This is the real beauty of barbell complexes. You only need to do the barbell complex once a week. It will take only around 15-20 minutes of your time. For beginners, I suggest you start with 50lbs of weight; intermediate lifters can do 70-80lbs; advanced ones can do over a hundred or more. Remember that the impact of the barbell complex is not grounded on how heavy the weights are but on the continuous motion and transition of your arm muscles as you switch from one complete set to another. 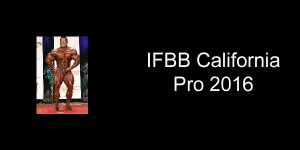 You don’t have to strictly follow the barbell complex setup I gave you. You can add your own exercise in the mix, do more than just 6 reps, or even complete it as fast as you can. The most important thing to remember is that you have to keep your hands on the barbell and never let go until you’re done with everything. I prefer executing the barbell complex as a finisher for my usual workout routine. However, you can also do it as a separate conditioning exercise. It really depends on how your body can take this intense workout. It’s hard to get ripped by losing fat and develop a big body by lifting at the same time. 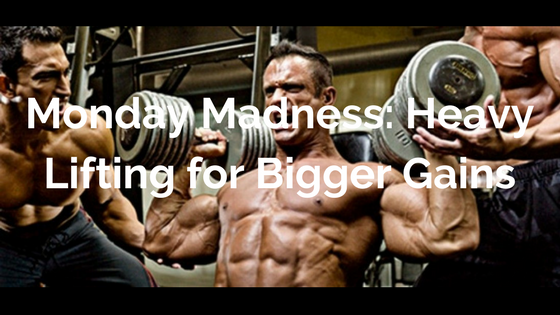 Oftentimes, these workouts contradict each other, preventing you from maximizing your gains in both areas. I’m having a hard time myself combining a running routine to burn fat and calories and lifting weights to build up my muscles; they just don’t go well with each other. In a barbell complex, the weights don’t have to be heavy because the real burn lies in the number of repetitions and the fluid transition between each exercise. The amazing thing about this type of exercise is how it can keep your heart rate up even if you’re only lifting light weights. With a barbell complex, you can both lose fat and gain muscle mass. Everyone wants to know how heavy lifting brings bigger gains and today I am going to talk to you about that and show you a quick workout that can pack on the muscle. Weight lifting is essential to body recomposition. If all you do is cardio to burn fat you will also burn the hard earned muscle you worked for. Some people believe in lifting “for the pump” and I am here to tell you that isn't the best way to go if you want to pack on strength and size. Intensity is one of the factors that spurs muscle growth. When you push your CNS beyond its normal capacity you force it to add size to your frame. When we do sets in the range of 4 to 6 repetitions we are doing “heavy lifting” in my opinion. The following are the reasons I think lifting heavy is the way to go. Faster strength increases. An increase in strength will come with a revved up metabolism as one of the side benefits. Increased strength also gives you more confidence. You build muscle. Heavy weights means larger muscles. Larger muscles means a more efficient energy system in your body. Helps the body lose fat. Because muscle is a metabolic tissue you will burn fat easier if you have more muscle on your frame. Connective tissue is strengthened. This means you are protected more when lifting later. 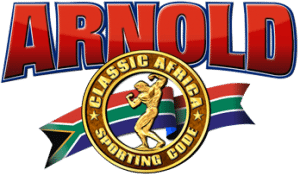 This workout begins by pre-exhausting the quads in preparation for some good squat work. When we get to the squats we begin with 3 sets in the 4 to 6 rep range and then we finish with 3 sets in the 1 to 3 rep range. This type of workout is going to exhaust you so make sure you get your food in before this training happens. The focus in this workout is the quads and hamstrings, but you can apply this principle to any muscle group. Give it a try and share your workout in the comments. One of the many ways to improve your training is to increase the intensity. 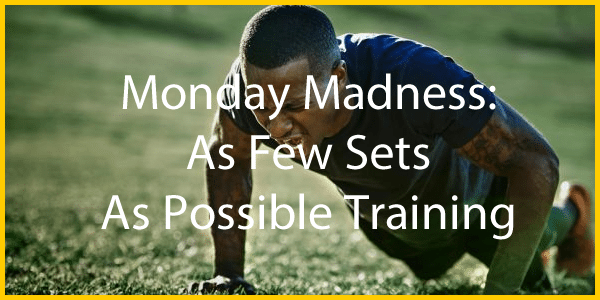 There are many approaches to increasing the intensity of a workout, but my favorite at this point in time is “as few sets as possible” training. Let's talk about this and give you a sample workout to try. What is “As Few Sets as Possible” Training? With this approach, you would pick a number of repetitions and then attempt to do that number of reps in as few sets as possible. It sounds easy, but you don't allow it to be easy if you handle it correctly and handling it correctly equate to maximum intensity. As an example, if you can curl 90 lbs for 10 repetitions, you would use 90 lbs. for your as few sets as possible set. You would aim for 30 repetitions. Theoretically this should take you 3 sets. Your goal is to do 30 reps in as few sets as you possibly can. By pushing your body to perform the same number of repetitions in less sets than it would normally take, you are pushing your central nervous system much harder than usual. You also increase the volume of your workout with this approach, doing more repetitions than you normally would. 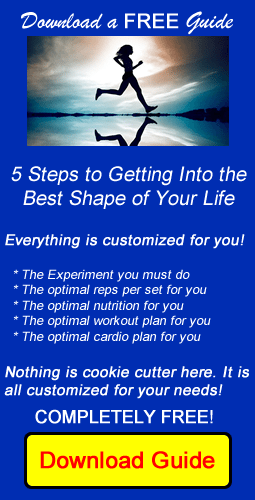 Finally, your strength will grow exponentially using this approach. This workout will definitely take you to a new place in your training. You start out by doing squats. You are aiming for 20 repetitions. Use what you can do for 5 repetitions. The goal is to get to 20 repetitions in as few sets as you possibly can. The last time I did this exact workout, I did a warm up set of 45 x 15. I then got to 20 repetitions in 3 sets (normally it would be 4). I did 335 x 12; 335 x 5; 335 x 3 and that finished off the set. The next set is 40 Bulgarian Split Squats in as few sets as possible. You move into Leg Extensions, doing the standard 3 sets of 20 repetitions. You then get to Lying Leg Curls, doing 40 in as few sets as possible. You finish off with 3 sets of 20 for your calf raises. Your legs will be full of blood. The pump will be amazing! Give this a try and let me know how it goes for you. I guarantee an amazing workout! Maximizing chest growth requires a clear strategy. 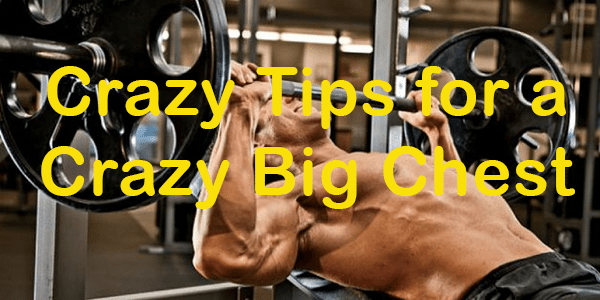 I have four crazy tips for a crazy big chest. Follow these tips and you will see your chest begin to respond. When training your chest it is important to hit the muscle from different angles. The best advice is to focus on incline angles. You must change the angles from time to time. You can make it an extreme angle or a less extreme angle. 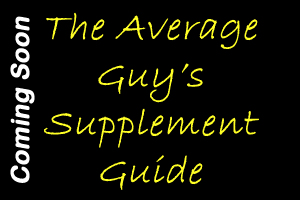 It will continue to stimulate growth in your chest if you do this. When doing chest exercises it might surprise you to hear that you should not use 100% ROM. This tends to take the focus off the pecs and that's not what you want. As an example, locking out turns the exercise into a triceps dominant exercise. Going too deep with dumbbells turns it into an anterior deltoid exercise. You want to work within the ROM where you can actually feel your pecs working. Keep an eye on range of motion and it will impact the growth you achieve. When training the chest, modify your rep ranges. You are able to use low, medium and high rep ranges with your pecs. Studies show the pecs respond the best to moderate and high rep ranges. When using high rep ranges you can really focus on the muscle contraction. This will help you isolate the pecs more efficiently which helps them grow. 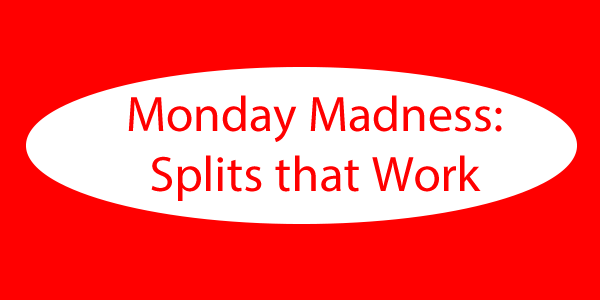 We return to the topic of actual muscle recruitment and isolation. The pecs respond well to focusing on iso-metric contractions. This really helps you improve that connection between the CNS and actual muscle fibers, which over time leads to improved muscle fiber recruitment within the area. I personally do some hammer press movements one arm at a time, but I really squeeze hard at the top of the movement to recruit the maximum number of fibers. It is quite effective. The attack plan for the pecs should include many different angles, the proper ROM, changing up the rep ranges and getting a good strong contraction of the muscle. Focus on this as you train your pecs and you will begin to see immediate improvement.